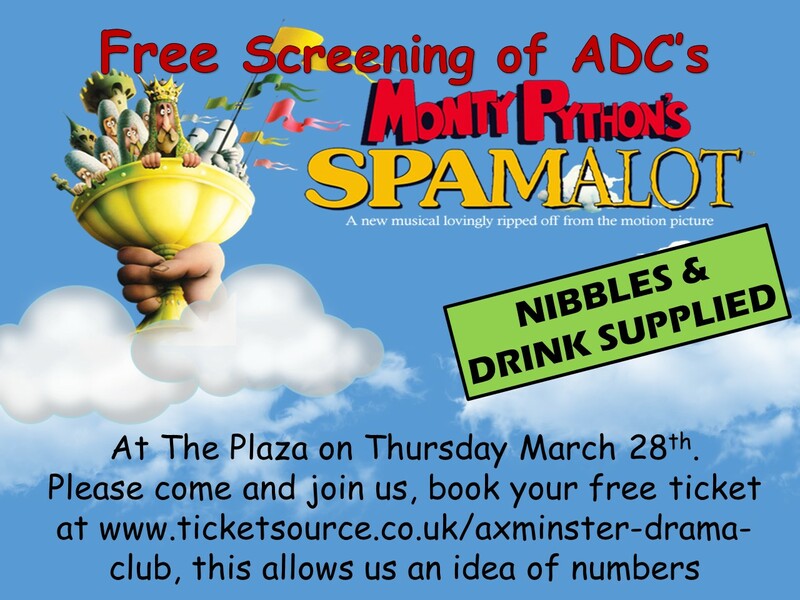 A completely free screening of our successful production of Spamalot. This will be shown at The Plaza. Entry by ticket. Please bring some food or drink with you.